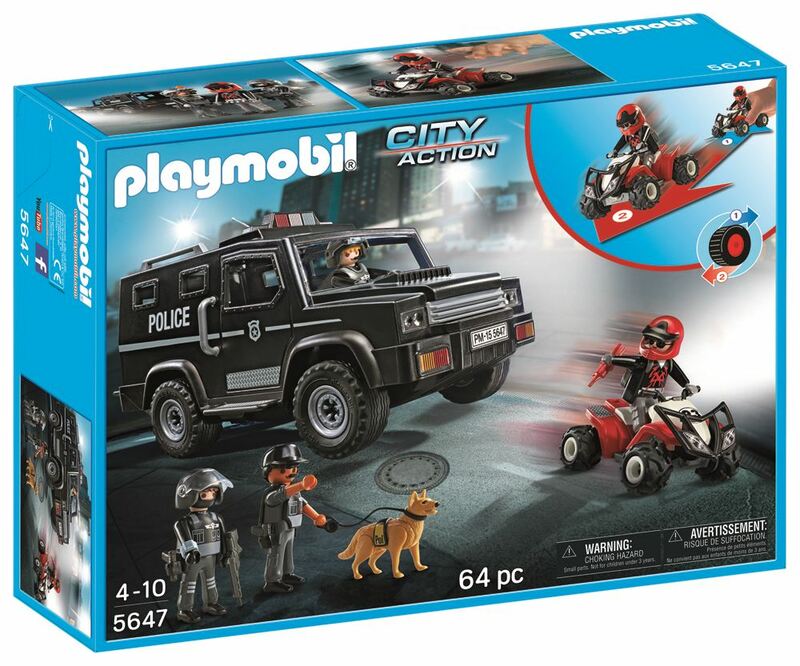 The Playmobil Police Tactical Unit Set contains a police response vehicle with removable roof, 3 armed policemen figures, police dog, criminal figure, quad bike (with friction pull back engine) and accessories. Part of the City Action range. Age 4+ years. Distributed in New Zealand by Holdson.